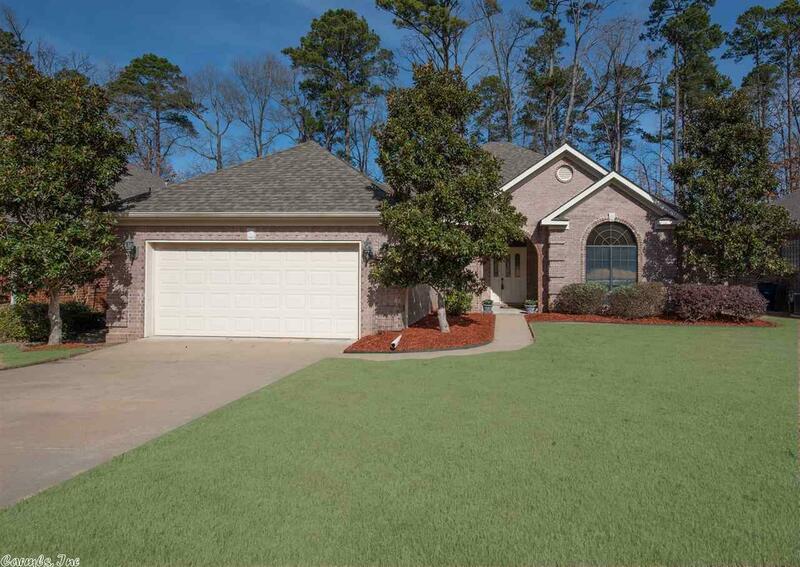 Lovely One Level Nestled at the 7th Fairway Green of Country club of AR Golf Course! Two Living Areas! Gas Log Fireplace with Builtins! Beautiful new Hand scraped Hardwood Flooring, Formal Dining, Large Open Kitchen with Granite Counter tops and tons of storage! Hearth Room off the Kitchen for a cozy 2nd Living space! Master Apart with Large Master Bath! Covered Patio and Extended Deck! Newer Roof and HVAC. Don't miss this Charmer!